Administering the payroll can be a time-consuming task for busy business owners; an increasing number of businesses find that outsourcing the payroll function to specialists is an effective solution. In addition, the introduction of the Real Time Information (RTI) system and the auto-enrolment (Pension) major changes to the operation of Pay as You Earn (PAYE) leading to extra compliance requirements for employers. Here at Allum Book-keeping Services, we can relieve the pain of administering your payroll, and free up your valuable time, allowing you to get on with the really important tasks of what you do best - running and growing your business. Other payments, including shift pay, overtime, bonuses and commission and student loan deductions also need to be accounted for, bringing extra complications. 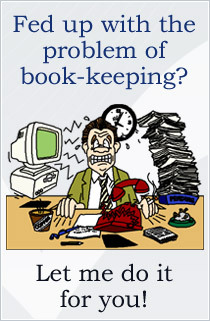 As specialists in payroll solutions, Allum Book-keeping Services can help you in all of these areas. As tax and employment law becoming even more complicated, our comprehensive and effective payroll solution gives you the peace of mind that you are fully compliant with the latest legal requirements, such as retaining the appropriate payroll records. Whether you are looking to fully outsource your payroll, or are looking for an in-house payroll software solution, our experienced experts can provide a payroll solution that is tailored to your specific requirements.